Mystagogy is the fourth and last stage in RCIA (the Rite of Christian Initiation for Adults). The term comes from the Greek for “secret.” The reason this term is appropriate for Christianity is that the tradition understands much of its focus as being on the supernatural. By definition the supernatural is often not known nor experienced through ordinary reasoning or empirical interaction. During the time of Mystagogy, RCIA neophytes are called to deepen their experience of the Sacraments (or Mysteries) received at Easter and to understand them. The sacraments are a primary encounter of Christians with God and thus events with an ineffable dimension. This time after the Easter Sacraments therefore includes opportunities for experience, reflection and learning. The most important goal is that neophytes grow in closeness to God. The second goal is that they know the joy of sharing their faith in the community of the Church. Neophytes are then encouraged to reach out eventually to those not part of the church community. For new Catholics, the Eucharist, a mystery itself, is the model and the means of why and how one can live the life of a new creation. In the Eucharist, Jesus gives himself to believers in a humble and personal way and models the self-giving and purest kind of love that happened at the Crucifixion. The Eucharist transforms and empowers recipients to live a life that is full of the kind of love we see in Jesus. As they are fed, they can go out and feed others. After the intense months of RCIA, it can be a shock for new Catholics suddenly not to be a part of a group attending the liturgy and practicing prayer, learning, and reflection. Many people involved in RCIA teams, as well as new Catholics, feel that Mystagogy, which usually lasts a month to six weeks, is not nearly long enough. Some parishes have RCIA programs that run one and one half years to two years. Other parishes encourage RCIA graduates to join Bible studies, prayer groups, adult religious education, parish retreats, and ministries within the parish community. In the end, Mystagogy and the ensuing Christian life are a matter of trust. God lives in our depths and graces us in unseen ways. We often do not know exactly where we are going in life, but we know that Jesus is with us. During Mystagogy, the New Christian is led by the Holy Spirit deeper into God and the life of faith, both a matter of intellectual knowledge and unfathomable mystery. It is the beginning of a great adventure. “It is time for the Lord to act.” These words proclaimed by the deacon to the priest in the Eastern Catholic and Orthodox churches just before the beginning of the Divine Liturgy (known as the Mass in the Roman Catholic church) tell us something important about God’s participation in human life. The word for time used in this statement is “kairos,” meaning the perfect or decisive moment in which conditions are right for something very important to take place — a time when God acts. The beginning of a Eucharistic celebration (Mass or Divine Liturgy) is one such time. In a very real way, the celebration of the Rite of Initiation of Christian Adults (RCIA), culminating at Easter Vigil with Baptism, Confirmation, and first reception of Communion, is a series of kairos events in the life of believers. In Roman Catholic tradition, we have baptized infants and children for centuries. Most members of the church have no memory of their baptism. First Communion, around the age of reason, is more commonly remembered. Confirmation, when received in adolescence, is remembered more clearly. Nevertheless, the three Sacraments of Initiation are designed to be received at the same time. In fact, since Vatican II, the Church has asked dioceses around the world to re-unite them, including with the initiation of children. This is the practice in the Eastern churches. But children are not the only source of new Christians. Adults have always come to the Christian community and asked to be admitted to membership. The process of instructing and welcoming new members has taken many forms over the 2,000 year history of our community. Since Vatican II, returning to the tradition of the early Church, the RCIA has been the way we have welcomed new believers. This year at Easter Vigil, as we again lit the new fire and blessed the waters of baptism, we welcomed our new sisters and brothers by plunging them into the newly blessed baptismal waters or pouring the water over their heads. We have anointed them with chrism, the oil blessed by the bishop during Holy Week. Chrism is used to anoint the hands of priests, the heads of bishops, the altar and walls of a church, and the newly baptized. In Confirmation, it is also used to anoint and strengthen the new Christian, bringing the wisdom and strength from the Holy Spirit to witness to the presence and activity of God in all creation. Finally, we complete their initiation by sharing the very Body and Blood of our Lord with them as food for the day-to-day journey of faith. Such a lot happens in a very short time! It’s far too much to fully comprehend in the moment. It will take a lifetime to ponder and experience the growth and flowering of the seed brought to birth at Easter Vigil – the new life of faith and community of travelers on the way in God’s kingdom. The newly baptized ideally are continuing their journey in a time of sharing and learning known as mystagogy – a time of awakening in the Spirit and entering ever more deeply into the mystery. Common reactions/experiences of those who have newly received these sacraments include a hunger for scripture, a desire to learn more, a longing for community and sharing, an urge to step away to pray and ponder what they have experienced, excitement, wonder, and joy. Eventually, they may also experience a quieting of the initial excitement, a sense of God not being so close anymore, disillusionment upon discovering the “warts” or “clay feet” of other members of the community. All of this is normal. It’s all part of the journey of faith. Jesus’ disciples and friends did not fully understand what happened in that Kairos moment of Easter and resurrection. Two thousand years later, we still cannot explain it. God acted in a decisive way, defeating the power of death and separation between God-self and humanity by becoming one of us and experiencing human life fully. Now it is our turn to enter, as members of the Christian community, into the life of the Trinity. It is a journey of a lifetime, lived step by step by the baptized. Welcome, Sisters and Brothers to this amazing journey. Our thoughts and prayers are with you. We look forward to learning from you of the wonders our God is doing in your life and we promise to share with you the wonders we have seen. The Kairos moment has come into our lives. Christ is Risen! He is truly Risen! Seeing the Underside and Seeing God: Nadia Bolz-Weber with Krista Tippett at the Wild Goose Festival from On Being on Vimeo. 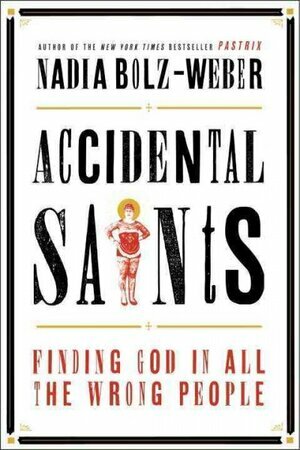 Nadia Bolz-Weber is a Lutheran Minister who is described as “not your mother’s minister.” This is a marvelous interview with the woman who is the pastor or “pastorix” as she jokes of the House of Sinners and Saints in Denver. Raised in the Church of Christ with no drinking, dancing, and no instruments in church Nadia has gone through many years of addiction and stand up comedy. In her Denver church, she has incorporated the four part a capella singing of her childhood and focuses her preaches on the ongoing death and resurrection of Christians. For a fresh take on traditional Christianity in contemporary language enjoy this interview. The Joy of the Gospel, Pope Francis’ most recent Apostolic Exhortation, contains many wonderful and important topics for Christian living. One of the great advantages of the Pope’s exhortation is that it is easy to read and understand by the average reader. It is written in a clear, friendly, and non-technical manner. The only word that might need some explanation is “exhortation”. In Latin this is a type of speech given at a pep rally. It is a pep talk. In The Joy of the Gospel, Pope Francis takes thoughts and ideas that can be complex and presents them in a clear way without watering them down. This review is the first in a series. We begin with the homily because it’s role is one of the least understood aspects of Catholic Christian life and liturgy. In sections 135 to 139 of The Joy of the Gospel, the Pope focuses on the homily. Technically, the homily is given by those to whom the Church has given the ministry of preaching — bishops, priests, and deacons. However, many lay people today give reflections on the scripture at prayer, scripture, and communion services in hospitals, jails, and labor camps. Some parishes have lay presiders for authorized communion services if priests are not available for Mass. Consequently, proclaiming the Gospel and preaching can happen, with the approval of the local bishop, in different situations outside the Mass by a wide variety of men and women who have been trained and approved. Sometimes, reflecting on the scriptures also happens in faith sharing groups and individual families. So what does the Pope encourage us to do about homilies at Mass? 137. It is worth remembering that “the liturgical proclamation of the word of God, especially in the eucharistic assembly, is not so much a time for meditation and catechesis as a dialogue between God and his people, a dialogue in which the great deeds of salvation are proclaimed and the demands of the covenant are continually restated”. The homily has special importance due to its eucharistic context: it surpasses all forms of catechesis as the supreme moment in the dialogue between God and his people which leads up to sacramental communion. “A life-changing communion with Christ in the Eucharist” seems like an impossible challenge. While the Pope makes it clear that this “life-changing communion” happens through the grace of God, how do we prepare ourselves to be open to such an experience as preachers and members of the assembly? Pope Francis recommends that preachers take a loving and maternal tone. Mothers are keenly aware of their children’s challenges, their strengths and weaknesses. The Pope assumes the ideal mother-child relationship of trust, happiness, and deep mutual love. Pope Francis characterizes the Lord’s teaching as a dialog. He defines dialog as “much more than the communication of a truth”. Dialog arises from the enjoyment of speaking and enriches people by the sharing of love for each other through conversation. In dialog persons share themselves. Talking with his people is something that the Lord enjoys. The Pope reminds preachers that their words and interaction should be focused on leading them to this same enjoyment of God’s people. These few points do not even begin to scratch the surface of the Pope’s complete pep talk on preaching. What is remarkable are the themes of joy, enjoyment, and dialog. Very often the popular connotation of “preaching” is a negative, judgmental, and humiliating experience. Many times in the context of the Mass people are looking for a well articulated lesson about morality or Christian doctrine. The Pope and the Church, from the time of the Apostles, are calling us to something deeper, more radical, and very challenging. We are being called to enter the Divine conversation of the life of the Trinity, to hear the Divine Word and to be transformed both as speaker and recipient in the Holy Spirit’s dialog. Pope Francis urges us to take God at His Word. December 2013, also available at the Vatican web site. Las Posadas is a Mexican Catholic Advent tradition that marks the beginning of the Christmas season. Taking place from the 16th-24th of December every year, Las Posadas is a nine day community celebration in preparation for the birthday of Christ; a novena that is a mix of religious devotion and relaxation. Ultimately, Las Posadas is about accepting Christ, the Bread of Life, into one’s home and heart. It functions as an extension of the Eucharist, catalyzed by the fiesta culture. Food, both physical and spiritual, is an important element of the fiesta, because it is nearly impossible to have a Christian festival without food. Las Posadas is a fiesta; a religious fiesta in the sense that it provides sacred time and space to show a sacred event. The fiestas of Las Posadas reenact Mary and Joseph’s journey to Bethlehem, a journey that is considered sacred because it directly led to the birth of Christ in Bethlehem. Also, the fiestas gather the community in a ritual that parallels the structure of a Mass, emphasizing two more sacred elements of Las Posadas: the community and the Eucharist. Las Posadas begins on the evening of December 16th and ends on Christmas Eve. These nine days dedicated to prayer are called a “Novena.” Originally, a novena referred to the nine days of prayer before the Feast of Pentecost, but in Las Posadas it also represents the nine months of Mary’s pregnancy. Each night, a young woman and a young man – usually teenagers – dress as Mary and Joseph and go to three different, predetermined houses, asking for posada (shelter). They are accompanied by a candle-lit procession that includes musicians, children dressed as angels and shepherds, and anyone else who would like to join. At the first two houses, the procession of peregrinos (pilgrims) is turned away by groups of people inside the houses, who play the part of the innkeepers who denied Mary and Joseph shelter. The interactions between the peregrinos and the “innkeepers” happen in the form of call-and-response songs. Through several verses, the peregrinos ask for shelter and are denied entry by the innkeepers. The last verse is sung only when the procession is welcomed into the last house. At the last house, the peregrinos are welcomed and the whole community gathers for prayers and a party. Once all the peregrinos have entered, everyone prays the Act of Contrition, asking for forgiveness for their sins. Often, they will also pray the rosary, and/or hold a short prayer service. This part of the fiesta mirrors the Liturgy of the Word (the first part of a Mass). Soon the prayerful ritual gives way to food, games, and dancing. Nevertheless, ritual that promotes spiritual communion is still present in the fiestas, and parallels the Liturgy of the Eucharist (the second part of a Mass) — sharing a meal and celebrating the forgiveness of sin in the Eucharist. The fiestas grow in excitement with each passing night, but at each are ritual elements, including food and drink, candles, Nativity scenes, and piñatas filled with fruits, nuts, and candies. Traditional piñatas are shaped like stars and have seven points, each point representing a cardinal sin. People swing at the piñata with their eyes covered by blindfolds to signify their true faith in God and His mercy. Thus, when they break the piñata and are showered with sweet candies, the people act out the experience of conquering sin and receiving forgiveness and blessing from God. This is also a dramatization of how everyone’s sins are forgiven during the Eucharist, when Catholics remember how Christ died so that the sins of the world would be forgiven and confess their own sin through the Confiteor. Although perhaps not broken every night, the piñata nevertheless demonstrates the way food is used to teach religion, extend the message of the Eucharist into the home, and catalyze the fiesta spirit. The fiesta spirit continues through each of the nine days, never seeming to lag. On Christmas Eve, the final stop for the peregrinos is the church, where they celebrate La Misa de Gallo, a Midnight Mass, in which they share in the Body and Blood of Christ – a shorter but still powerful religious fiesta in which a sacred meal is re-enacted. After the Mass, the longest fiesta of Las Posadas commences. Along with a piñata and the small dessert items served at the fiestas on each of the previous nights, people prepare and share their favorite foods at the reception after Mass. Typical foods include tamales, pozole (pork soup), sopa de albóndigas (meat-ball soup), pollo con mole (chicken in mole sauce), bacalao (codfish stew), natillas (a type of thick custard), and buñelos (deep-fried pancakes sprinkled with sugar). Champurado (spiced hot chocolate), atole (a corn based drink), and ponche (punch) are also served. Although these are some of the more traditional foods consumed during the Advent and Christmas seasons, there are no foods that are specifically reserved for Las Posadas. Therefore, it does not matter what food is served, since the sharing of food itself symbolizes and strengthens the community. Las Posadas makes the Gospel come alive in a cultural experience of spiritual communion in which the people welcome Christ into their homes and lives. This spiritual communion results from the transformation of Jesus’ body, “…the living bread that came down from heaven” (John 6:51), in the Eucharist into spiritual food. The ritual of Las Posadas reflects the mystery of the Eucharist because the people of the community act as living bread through their acts of hospitality and generosity in caring for others. Additionally, the fact that Las Posadas is a religious fiesta, and thus directly tied to Catholic Hispanic fiesta culture, draws the community together and builds the spirit of communitas. Communitas is a deep spirit of community – a spiritual communion where all the members are united in the same consciousness, usually through a ritual. Las Posadas is a way in which Mexican Catholics realize communitas through the Eucharist and fiesta. Thus, the fiesta catalyzes, yet also results from, the ritual of Las Posadas and is thoroughly intertwined with food, both spiritual and physical; physical food is the visceral symbol that gathers the community and provides the base for rituals, in which it is transformed into spiritual food. Therefore, it nourishes the body and the spirit. Although there are traditions around the world in many different religions that fulfill the same functions, Las Posadas is one of the best examples of the way Mexican Catholics have taken the Eucharist and made it part of their cultural experience through the fiesta. Today, the fiesta spirit is spreading beyond Mexicans and Latinos. In some cases non-Latinos are attracted to the religious and spiritual aspects of Las Posadas. For others, Latinos and non-Latinos, a more secularized version of Las Posadas, in which the prayerful aspects are downplayed or ignored and the focus is on family and community, is more comfortable and attractive. Nevertheless, although those who celebrate a secular version of Las Posadas think that they are leaving Catholicism behind, they cannot escape the fact that even in any secular form, Las Posadas is still a religious fiesta celebrating and strengthening the spiritual connection between community members. Despite dropping all of the prayers, they are living the communitas of the Eucharist in their celebration, since even the secularized ritual parallels the structure of a Mass. Thus, without realizing it, many people are attracted to the religious and spiritual aspect of Las Posadas. What they experience is a community dimension of the Eucharist as seen in the transformation of profane (non-sacred) food into sacred nourishment for the spirit and community. Through that shared experience of celebrating a religious fiesta, people of all cultures strengthen their bond with their communities, uniting community, religion, and food. On the first Sunday of Advent in November 2011, English speaking Roman Catholics began using the new translation of the Roman Missal, Third Edition. New principles for translation were originally approved in 2001 and many years of work went into the development and distribution of the new Roman Missal. While updates to the Missal and to the book of instructions on how to use the Missal (The General Instruction on the Roman Missal) have occurred on several occasions since the original decision of the bishops at the Second Vatican Council to encourage use of the vernacular (the language of the people) rather than Latin in Roman Catholic worship, this update engendered more controversy than its predecessor. The reason for the controversy was simple: the guidelines for translation had been changed to emphasize literal translation rather than the more interpretive, idiomatic, inclusive language that the earlier version had favored. As a result, in addition to the need to deal with a change of language patterns, people were being required to change from familiar formulations to newer, sometimes stilted or more ornate, and/or less inclusive ones. For example, in the new version of the Nicene Creed, the phrase “consubstantial with the Father” replaces “one in being with the Father.” When asked how to explain the word “consubstantial” to people in the pews, the response was to explain that it means, “one in being.” Such changes and explanations left many people scratching their heads in puzzled amazement that anyone would think the newer phrase was an improvement. Nevertheless, the decision was made that a new revision was needed — if for no other reason than to update feasts of saints to include newly canonized ones. So a new revision of the Roman Missal was prepared and promulgated and the People of God began to adapt one year ago. In the interest of transparency, I will note here that as an anthropologist and professional translator, I was not thrilled with the new translation. I do not speak Latin, but I speak Spanish and read enough Latin to recognize familiar prayers and liturgical usages. The new translation, in my professional judgment, is too literal. As a result, its phrasing is sometimes awkward and confusing. The ornate feel of some of the prayers is foreign to our cultural experience, making them almost seem like parodies of an older time and sensibility. As a translator, the works for which I have been most seriously criticized have been those in which I was more literal in my approach. Even technical bio-medical translations, instructions for patients, and informed medical consent forms require a certain degree of freedom from the literal and conversion into idiomatic, more culturally-based constructions. Pastoral letters, poetry, fiction, and essays require use of poetic and culturally specific phrasing and word selection. In fact, word choice will even vary based on the national dialect of the target audience. An American in Southern California, for example, may well be puzzled at hearing that guests entered the room and were seated on the chesterfield. An individual from Alberta, Canada will immediately know that the item of furniture in question is what the Californian would know as a sofa and someone from Eastern Washington might call a davenport. The idea that one literal translation will meet the needs of all English speakers in the world, or even of all English speakers in a country the size of the United States, fails to recognize the impossibility of expressing the inexpressible in any one set of words. Of course, no words can really capture the reality of God and our personal relationships with the divine, but literal phrasing can make it more problematic. Since words are both based in cultural understandings of reality and formative of them, words do not always convey the same idea when used in different languages or cultural contexts. The words used may also be indicative of a different emphasis or understanding of the same event from one language to another. I appreciate the effort to make clearer reference to biblical sources for the prayers of the Mass (e.g. the “Lord, I am not worthy” before Communion is taken from the words of the Centurion whose servant was healed by Jesus [Mt 8:5-13]). However, in this and other instances, the “new” version is a return to the earliest translation we had immediately following the Council. That one was replaced for pastoral reasons: it was too literal, tended to be confusing to the faithful, and was non-inclusive in its gender references at a time when the position and status of women in societies around the world was changing towards greater inclusivity and equality! We have come full circle and the original version’s limitations have not gone away. Enough of Theory, What Actually Happened? Despite the reservations felt by many as the transition date approached, the first day using the new translation arrived in parishes around the world and we all stumbled through the new wordings. We learned new music to go with the new words. We found ourselves reciting the old words when our attention strayed or when we were deeply into the ritual and its mystery. Sometimes the celebrant forgot the new wording. Sometimes we did. We’ve now had a full year to experience the new translation. How has it gone? I have visited parishes in California, Oregon and Washington state and seen some common patterns. No one worries if a celebrant or participant in the liturgy gets something wrong. We just smile and go ahead with the celebration. Perhaps the most reassuring thing I’ve seen is that so very few people have left the community in a huff over the new translation. I remember when we first began to use English. There were a lot of people who left because in their view it was no longer a Church that was faithful and unchanging. What we have learned is that revelation is on-going. Christ is still present in His Body. The Holy Spirit still breathes life into each of us and our communities. And God’s glory shines out into the world as we gather for worship and then go forth in service in our daily vocations. We are, all of us, faithful and faithfully Catholics. Awkward translation or not, we aren’t going away. We’re going forward! What have you noticed in your parishes? How has the new translation been introduced and put into practice? Are you seeing a deepening of understanding of the liturgy? Have you experienced new efforts to offer classes or workshops to help the people of your community participate more fully in the liturgy? Has there been a resurgence or deepening of faith in your community in the past year? August 4 is the feast of St. John Vianney, patron of parish priests. John Vianney was born to a peasant family in Lyons, France. He wanted to be a priest, but his education was limited and he was not a very good student, despite his great desire to learn enough to be ordained. Finally his bishop took a chance on him and agreed to ordain him. John was assigned to a remote town far away from any place of note. He was not a great homilist. His knowledge of theology was limited. But he was a good listener and a compassionate man whose advice and counsel was welcomed by those who came to him for confession. Before long, he was spending up to eighteen hours a day, sitting in a confessional, hearing the confessions of people who traveled from all over France to receive forgiveness through his ministry. St. John Vianney also loved the Eucharist. Among his many insights was this one on God’s love for us. Image of St. John Vianney is in the public domain. Corpus Christi: Who’s Feeding on Whom? Today is the feast of Corpus Christi, the Body and Blood of Christ. We celebrate the great gift of the Eucharist – a feast of thanksgiving. We celebrate that the Lord has given His very being to us to be food for our journey through our lives here and now – from this day to the day of our birth into eternal life in the next here and now. I’m struck today by the contrast between the Lord’s gift of allowing us to eat of His body and blood, soul and divinity and the way in which those spirits not in union with God, the evil ones, feed on our energies when we choose to welcome them into our lives even for a moment. It became very clear to me again yesterday how quickly and subtly they will move in and start draining energy away from individuals and families. I received a notice in the mail regarding a challenge we’ve been facing as a result of the problems in the global financial markets hitting “Main Street.” I don’t know what the notice means, but it’s not a great situation and it could be the first step of more challenges coming. On the other hand, it might not mean anything negative at all. But I was tired and a bit stressed and I found myself fretting about it. Then other things started popping up with their “… and did you remember that he …” and “… can you believe the nerve of …” Nothing huge involved. Nothing to which I would not have agreed. Just that quiet, insidious little voice encouraging me to feel upset, tired, a little resentful, or whatever. As I got more out of sorts, others in the family also got edgy, including the resident baby. Finally, my children sent me for a walk with the baby and fixed dinner themselves. On the walk, a relatively quiet activity with a very young child in a stroller, I realized what was happening. I closed the feeding trough to the spirits who had crept in and I asked my Guardian Angel and the Holy Spirit to protect me and us from their influence. One thing I’ve learned – that kind of prayer is never ignored. I was better immediately and we had a lovely dinner and pleasant evening. So, how does this relate to Corpus Christi? We can choose to allow the evil spirits to invade. We can feed them. The expression, “What’s eating you?” is absolutely an accurate description of an unseen reality. Or we can keep closing that restaurant when they come around and instead feed on the love of God, the body and blood of our Lord. The neat thing is this. To the extent we feed on the Lord, we can then help feed those around us in positive ways. Everything becomes manageable again. Problems can be solved. Joy returns. I still don’t know what that notice means, but whatever it means, all will be well as long as I/we remember Who should feed whom. Happy Feast of Corpus Christi. Stephen’s bright blue eyes smiled as we said, “Lamb of God, Give us Peace.” According to the rubrics we were now to show each other a sign of peace. Yet with Stephen’s attention deficit disorder, which had already taken him in and out the brief service at least twice, it seemed that a little catechesis might help him be a little more aware of what we were about to do. Stephen is not a little boy. He is a handsome man in his early 30s, with a number of tattoos poking out of the v-neck and short sleeves of his starched jail issued smock. The readings had been those of Pentecost. The second reading was from First Corinthians 12. “No one can say Jesus is Lord except by the power of the Holy Spirit.” This had struck all four of the men, but had made a special impression on Stephen. “Does that mean that when I pray the Holy Spirit moves my heart?” Stephen had asked. When I answered “Yes” his eyes got wide and he said that since his attention came and went and his thoughts were often jumbled, he thought his prayers were more bothersome and must be irritating. The notion that he is a temple of the Holy Spirit was as novel to him as it was consoling. Stephen was back now and I shared a few words on the Lamb of God, recounting the Last Supper and the passion, death, and resurrection of the Lord. We do this in His memory as He requested of us. We are invited to the Lord’s table. Stephen and his companions were not new to the faith, but this brief memorial of our Great Memorial brought a renewed awareness to the others and a slack jaw from Stephen. He did not doubt, but could not help but marvel at the wonder of it. As we shared the wonder of the Blessed Sacrament, our communion was truly a sharing in the Body and Blood of Christ. Bread blessed and broken at the Eucharist, celebrated in the parish, given to all, shared with all, and sent to those in need and to those in prison. The Body of Christ – Corpus Christi – saving us all from our prison of loneliness, our hunger for love, and admitting us to the feast of heaven here and now. To receive communion during the Easter season has been a long established precept of the Catholic Church. It is a practice that we should examine more closely. To receive Christ in the Holy Eucharist requires one to be in the state of grace – free of serious or mortal sin. We are advised – wisely – to put our souls in order. We are to turn away from sin and return to the community through the grace of absolution. There must be peace and love in our hearts and a definite change in our lives. Fr. Burke, a Discalced Carmelite from Australia, expands on the notion of communion in terms of our living out the Sacrament of the Holy Eucharist in our shared lives as Catholics and Christians. In his article, “St. Teresa and Two Spiritualities in the Church Today,” at http://www.carmelite.com/, Fr. Burke explains St. Teresa of Avila’s views on legalism as opposed to true and complete union with God and each other. It is well worth reading. Fr. Burke has put into words what I have been feeling ever since I read selections from the popular blog, Cafeteria Closed, by Gerald Naus, who writes as Gerald Augustinus. Naus came to the United States from Austria in 1997. A former Jehovah Witness, he became a Catholic in 2005. His views are decidedly Restorationist. Unfortunately, they are generally stated in tones of arrogance, condescension, or condemnation. His posts on culture, politics, and religion are inflammatory and provocative, akin to those of Rush Limbaugh and Ann Coulter, except that Catholicism is now the justification for neo-fascism. Naus’s recent post, On the Status of Palestinian Education, uses photos and a few inflammatory lines to libel all young Palestinian men. One might argue that many of Naus’s views are Catholic in the officially regressive sense, but there seems to be little of Christian charity or communion about them. From this narrow point of view anyone who does not agree with him is wrong and should be attacked. As a major blogger, Naus has a large following in which to sow his seeds of dissension. Dr. Megan McKenna uses many stories in her teaching, claiming that all stories are true and some actually happened. She tells this story, one that actually happened, about a community she visited in India. It was a very small village, with an even smaller Catholic community. The community generally gathered in the evening. As dusk fell, her hosts invited her to go outside and look around. In the gathering darkness, she saw the hills around the village come to life with little twinkling lights. The lights began to move across the hills and gradually to converge on the small building which served as their church. In the middle of the church, there was a large iron contraption, with many arms jutting out from the center. As the people arrived, they hung their family’s lantern on one of the arms. When it became clear that no more people were coming, the contraption, now a chandelier, was hoisted up over the gathered people. It shone over the altar, giving light to the entire community as they celebrated Mass together. Then, when the time came to leave, the chandelier was again lowered and each family took its own lantern. But rather than go home, they went out from their celebration to visit the homes of the members of the community who had not been able to join them that night. They knew exactly who was missing because those lanterns had not been on the chandelier giving light to the community! A lesson Megan drew from this experience and shared with my parish community is that we aren’t really a community until we know who is missing when we gather to worship. I thought of this story when, along with many thousands of others, I attended Sunday afternoon liturgy in the Anaheim Arena as part of the Los Angeles Religious Education Congress 2008. The arena was beautifully decorated. The music was outstanding. Cardinal Mahoney was presiding, along with many bishops and priests of the archdiocese. The deacons were there with their wives, entering and leaving in the processions together. It was altogether a wonderful time and place to be. It happened to be the Sunday when the Gospel is the story of the healing of the man born blind. This is one of the three Sundays when we celebrate “The Scrutinies” as part of the Rite of Christian Initiation for Adults (RCIA). The focus of the second Scrutiny is the ways in which we are blind. The prayer of those preparing for Baptism, Confirmation and/or Eucharist at Easter, as well as of the larger community, is for deliverance from those forms of blindness. After the homily, when the time came for the Scrutiny, those preparing for the “Easter sacraments” (Baptism, Confirmation and Eucharist), were invited to kneel around the altar in the center of the Arena. Their sponsors stood before them as they knelt there. And we were all invited to pray with them, then raise our hands in prayer over them, asking the Lord’s blessing on them as they left with their catechists to continue reflecting on the Scriptures and preparing for Easter. Then they all rose and left the Arena. I was sitting in the third tier of seats, so I had a great view of the floor and all the proceedings. It was an impressive sight, because approximately 5 rows of people on both sides of the aisle on the main floor left the room together. There was a huge hole in the middle of the community gathered there for worship. Although I didn’t know any of those people personally, I knew who was missing from that community! Those who will bring their own light of insights and God’s unique presence to our/their communities when they are welcomed into full participation in the Church at the Easter Vigil. I remembered Megan’s story and also her statement that the gospels were written by the Christian community for those who were becoming new members of the community. They are for the instruction of new Christians, and the gift of the RCIA, and of those preparing to join the community, is the opportunity to see these stories anew and to experience their power to change lives – the lives of new followers of The Way and of those who maybe have begun to take it for granted. As we celebrate the many liturgies of the next few days, I invite you to look around and see who is missing. Who needs us to reach out in love and ease a burden, or offer a word of hope and consolation? Who is homebound? Who is discouraged? Who has been hurt by our institution or our community? Who have we ourselves hurt? As we reach out in love to those missing, we will experience the Resurrection of Jesus in a deeper way and we will become a sign of love to the world, just as those little lights coming down the hillside were a sign of a loving community in one small Indian village.